TEAM Schostak Family Restaurants, a Livonia, Mich.-based family-owned restaurant group with an expansive portfolio of casual dining, quick service and family dining restaurants throughout the state, announced today its co-branded Applebee’s Grill and Bar/IHOP concept at the Millender Center in Detroit will be fully operational starting on June 26 with the opening of Applebee’s. A phased approach, IHOP opened to the public on May 29. TSFR Executive Chairman Mark Schostak made the announcement. Located inside the Millender Center across from the Renaissance Center, the 11,939-square-foot co-branded Applebee’s Grill and Bar/IHOP concept is the only one of its kind that is unique to the Detroit market and features current and progressive design, fulfilling a multi-dimensional purpose for serving many guests, including hotel patrons, the morning business community, lunch and after work crowds, group outings and families. The 300-seat restaurant will feature several guest-favorite menu items from both Applebee’s and IHOP, including Original Buttermilk Pancakes, French Toast, Oriental Chicken Salad, Quesadilla Burger, Fiesta Lime Chicken and Applebee’s Riblets, along with a barista coffee bar. 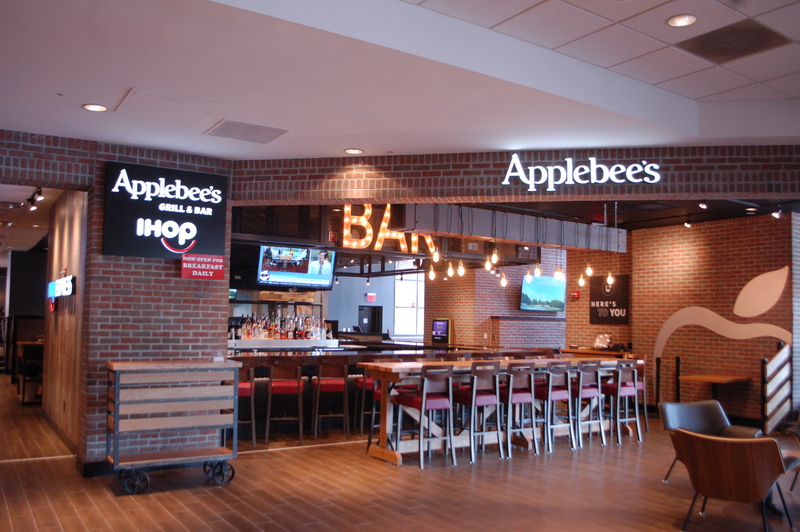 The Applebee’s/IHOP co-branded restaurant has created 120 jobs for local residents. Plans for an official grand opening celebration are underway and will be announced at a later date.